142 Denison Iowa Mar 6th 1880. 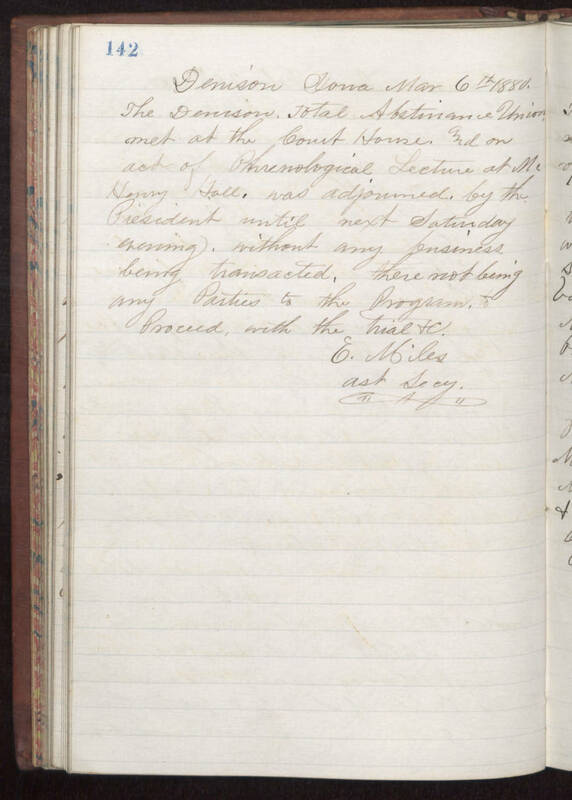 The Denison Total Abstinence Union met at the Court Houses and on act of Phrenological Lecture at Mc Henry Hall was adjourned by the President until next Saturday evening without any business being transacted there not being any Parties to the Program to proceed with the [illegible] E. Miles ast. Secy.